My heart has been able to blossom here the last few days. I feel lighter, freer, and more content. 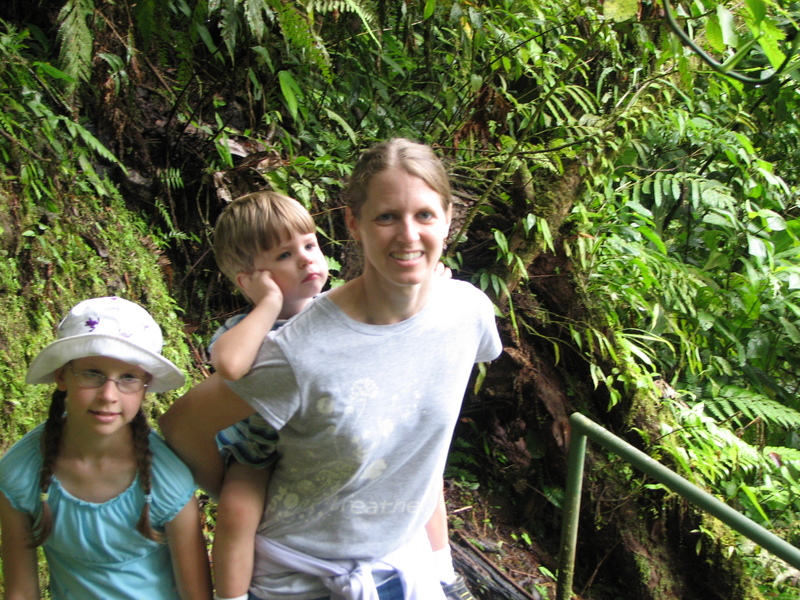 Was it the time our family spent in Arenal soaking in the tropical paradise? I loved every minute, but that wasn’t quite it. The nice visit to the language school that we made on Monday? Not really. Getting to know more of the wonderful people here who are mentoring us in doing life Tico-style as global workers? Having some free time in between teams to bake cookies to share with the Hogar de Vida family and trying my hand at caramel rolls? The fried plantains of which I never seem to get enough? Playing in the pool with the sweet children whose names I am finally learning? All of that has been a true blessing and a great deal of fun, but the switch was flipped by something more mundane. I didn’t even understand the change myself until after it had begun. Two nights ago after dinner, Matt and I hauled out all of the luggage with the items we had brought down to leave here in storage here. We cracked open the 4 thirty-gallon storage totes we were able to buy here to hold our things, and I started a colossal game of “make it fit,” listing each item by tote for future reference as I went along. It was like wrapping your own Christmas presents, a year in advance. Rubbermaid canisters, food storage containers, crock pot, toaster oven, mixing bowls, plastic dishes, tools, sheet sets, kitchen towels. a few pretties for decoration, physical therapy items, our favorite books, etc. Having some of the necessary basics to do life all tucked safely away, organized, inventoried (for when we forget), and ready for our future here feels like the first layer of twigs in our Costa Rican nest. A seed sown into our calling, waiting to grow into our family’s home. Not every global worker has this opportunity, so I am doubly grateful for this source of blessing and comfort. And suddenly my heart is singing again. I’m venturing out of my English-speaking shell and trying to make more conversation in Spanish. The presence of the Lord is sweet as I lean into Him over my daily chores. This afternoon the team from Lifegate Church flies in and we are eager for our time together and what the Lord will do in it. Please be in prayer as they begin this journey which has been facing opposition. 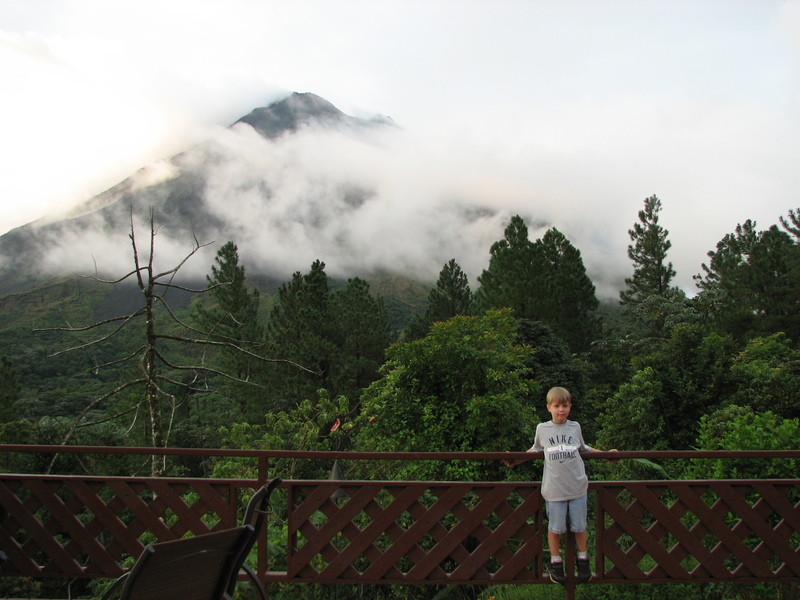 I will leave you with some highlights of our time by the Arenal Volcano. 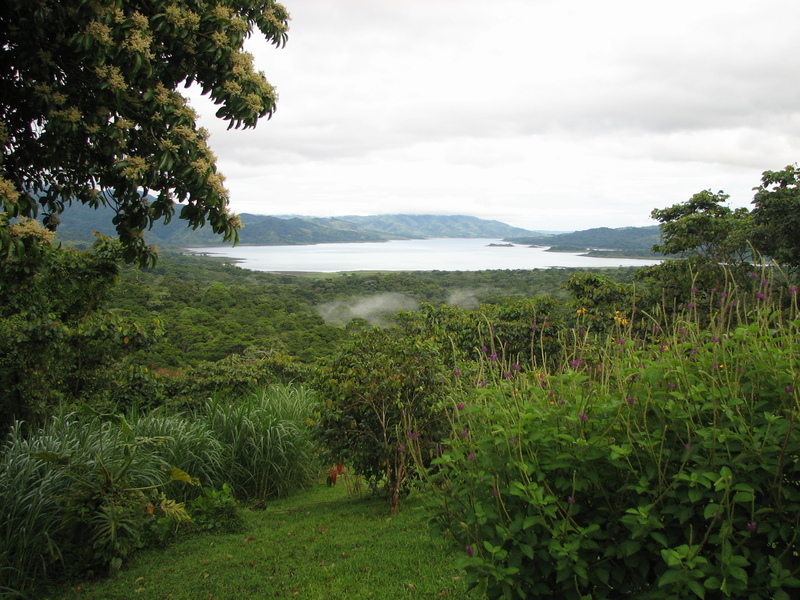 We stayed in simple room with 6 bunk beds and common area bathrooms, but the view of Arenal Lake from the front porch was priceless. More of our quiet-time ambience. 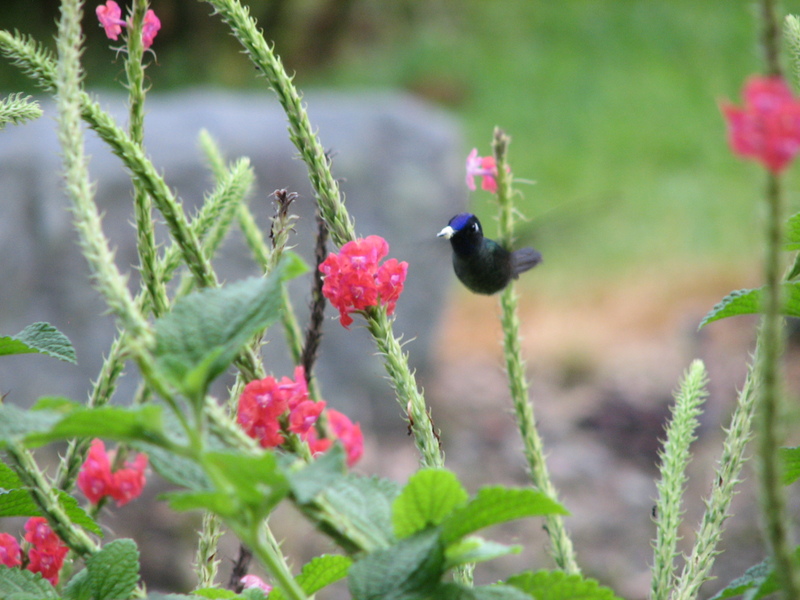 We had never seen or heard so many beautiful birds. 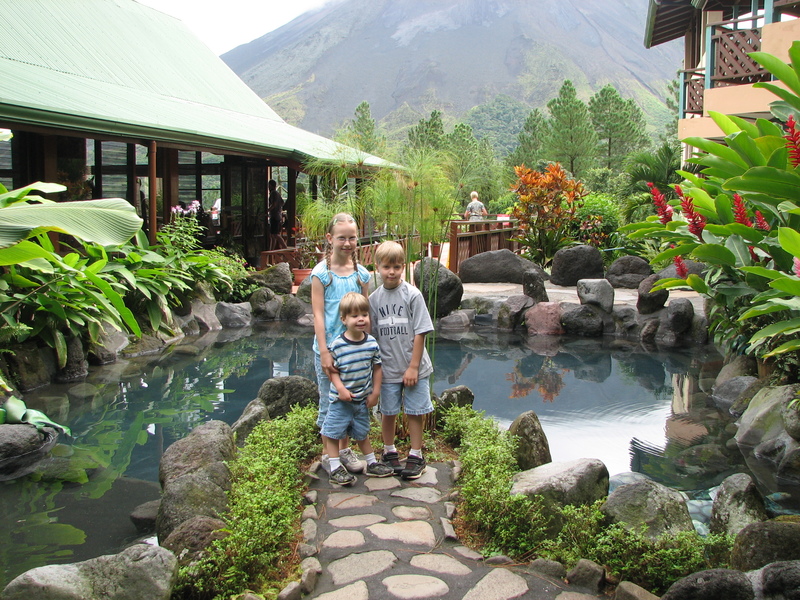 The 3 E’s meet the Arenal Volcano (in the background). 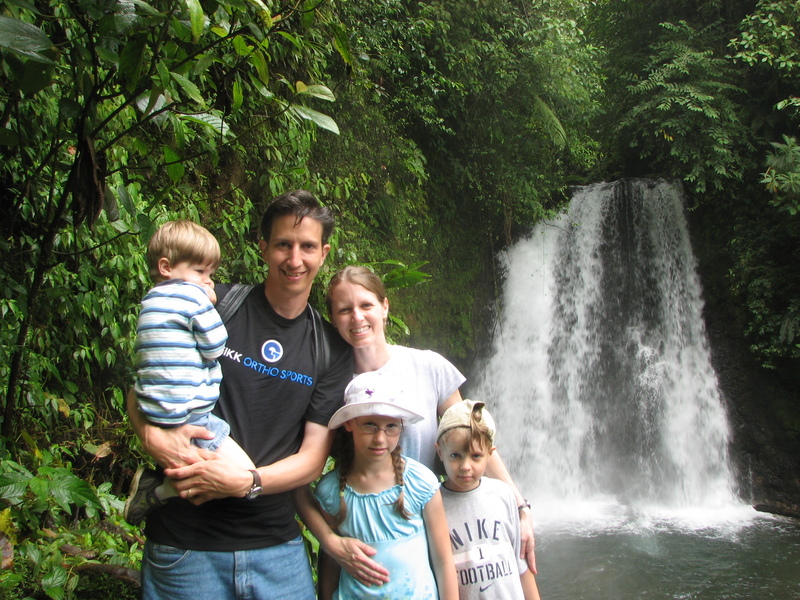 This waterfall was one of the highlights of a complimentary guided group hike through the observatory grounds. 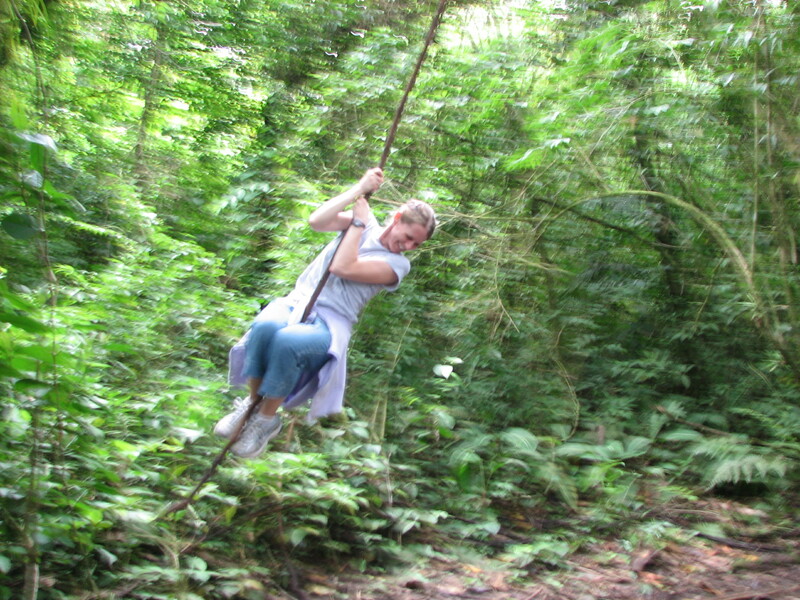 We each got a chance to play Tarzan and Jane on a real live jungle vine. Ezekiel spent most of the 2.5 hour hike cuddling on my back. Much better than a Jillian Michaels DVD. 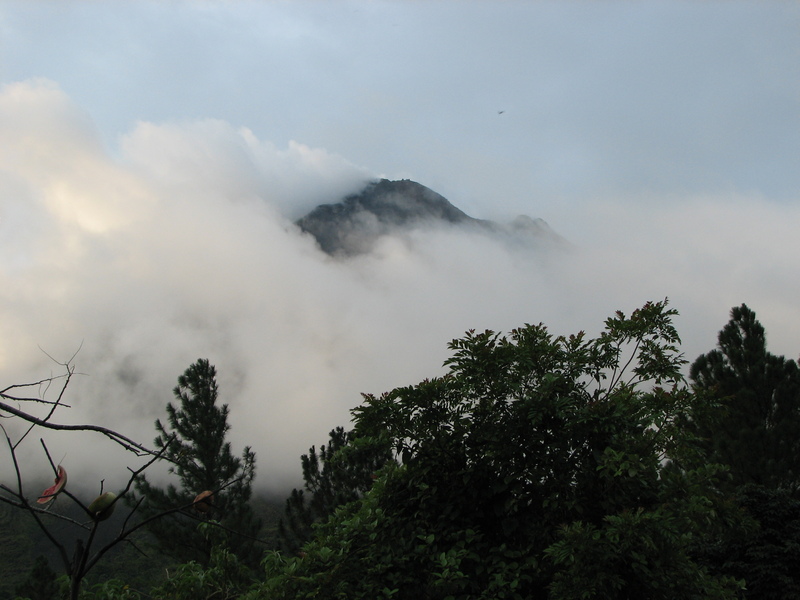 The Arenal Volcano was often veiled in clouds. Here’s one of the best views we had of its peak. 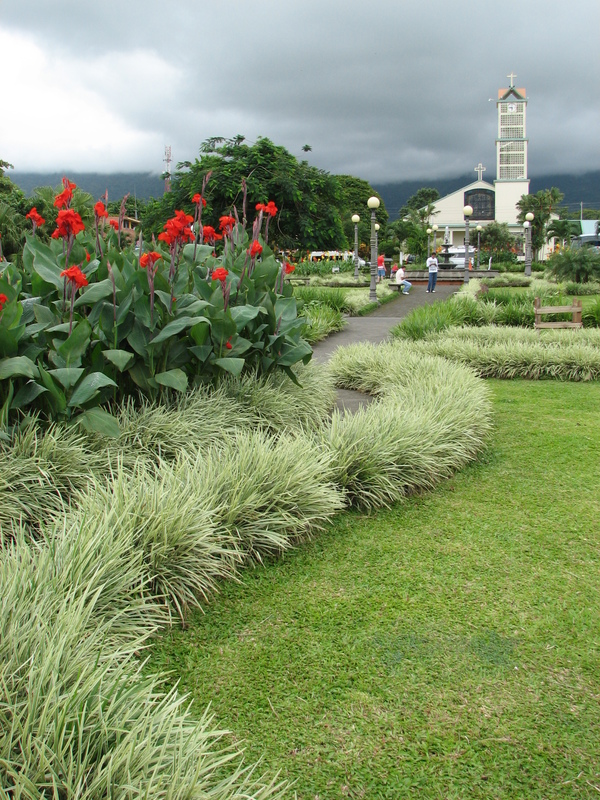 From the massive explosion in 1968 (before which the volcano was thought to only be a mountain) until two years ago, the volcano regularly sent out red lava and plumes of ash. Our tour guide used to promise that if you didn’t see red lava, you didn’t have to pay him. Today, it is considered dormant. 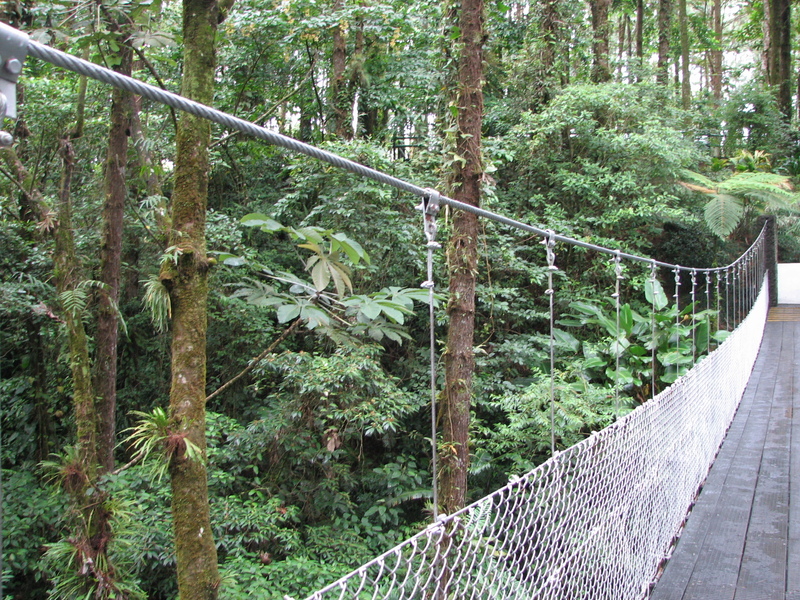 One of the hanging bridges used to cross the rainforest ravines. 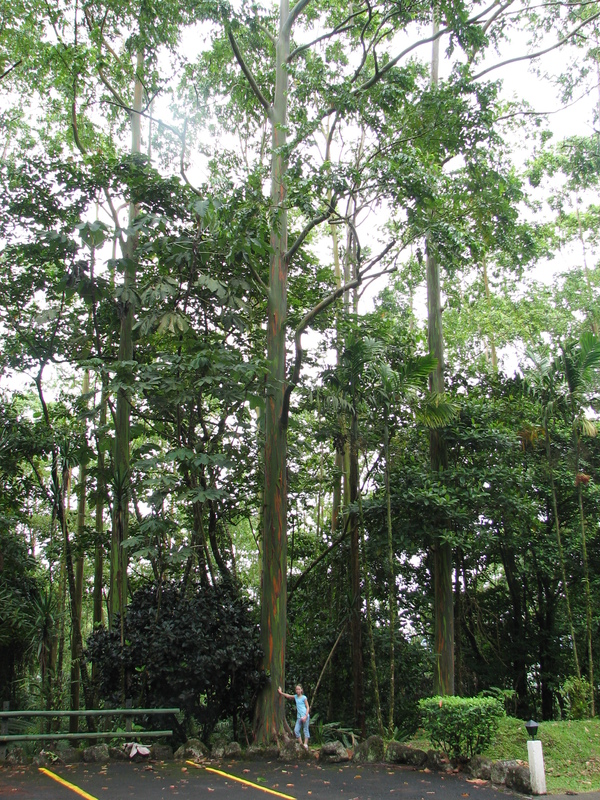 Eucalyptus trees were introduced in this area by man to produce telephone poles. 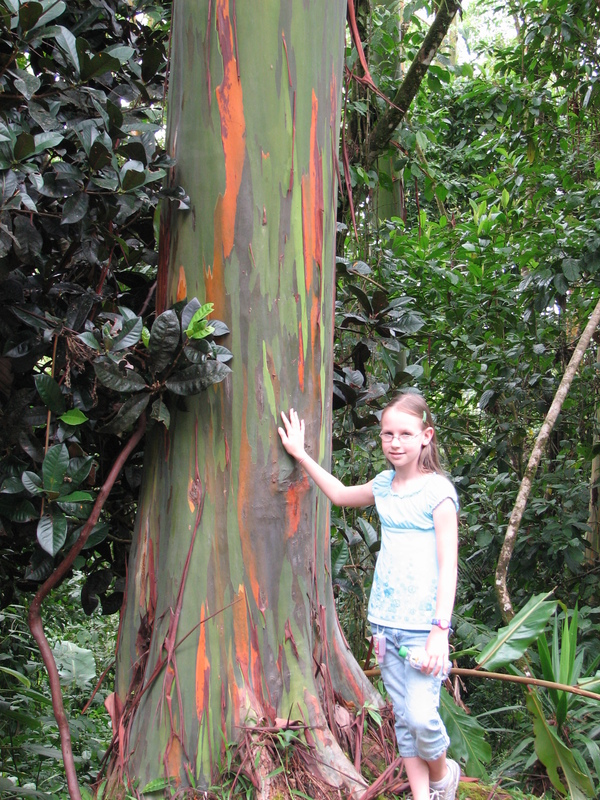 The smooth, peeling bark of a Eucalyptus Tree revealed a myriad of colors. 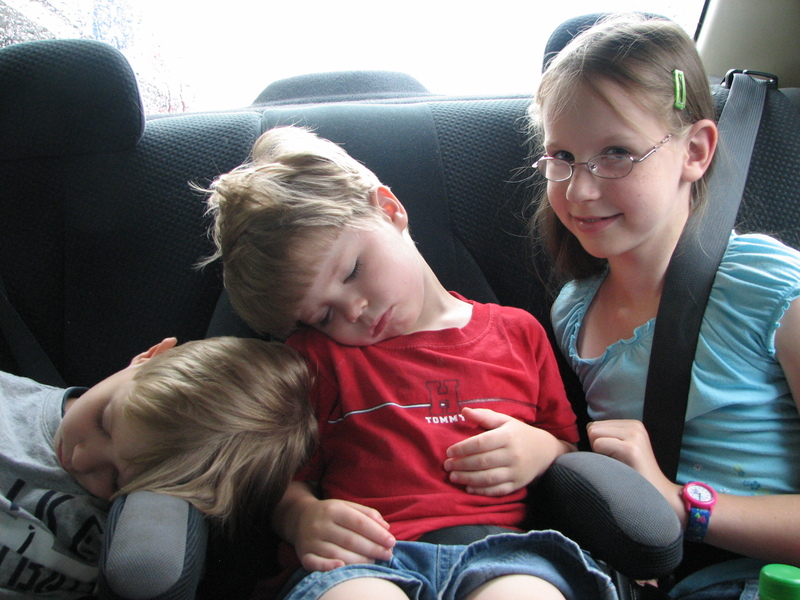 The boys fell asleep on the long ride home and never missed the pastries we bought at a Musmanni bakery on the way (because we ate theirs). 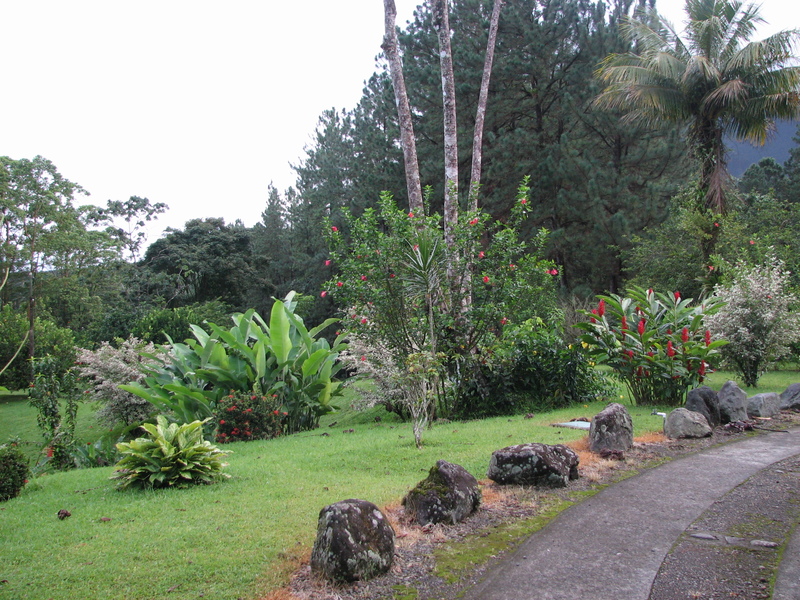 This entry was posted in Costa Rica, Kris' Heart and tagged Arenal Volcano, Costa Rica, eucalyptus tree, La Fortuna, packing, Spanish. Bookmark the permalink. It is very often the little things that bring the biggest heart changes–at least in my life! Leaning in with you as the future is contemplated and prepared for. So thankful to hear of God’s moving in your heart; He is faithful! And thank you for sharing the pictures – they are beautiful! I’m with Eliana – I would have stayed awake for the pastries too!! Love to you all! So happy to see the pictures! Wow…what an adventure! Love you guys!